In this lesson, we will learn how to divide rectangles and circles into three equal parts and describe each part using the word third. This circle is divided into 3 equal pieces. What is the name for each piece? Pick the rectangle that is partitioned into thirds. 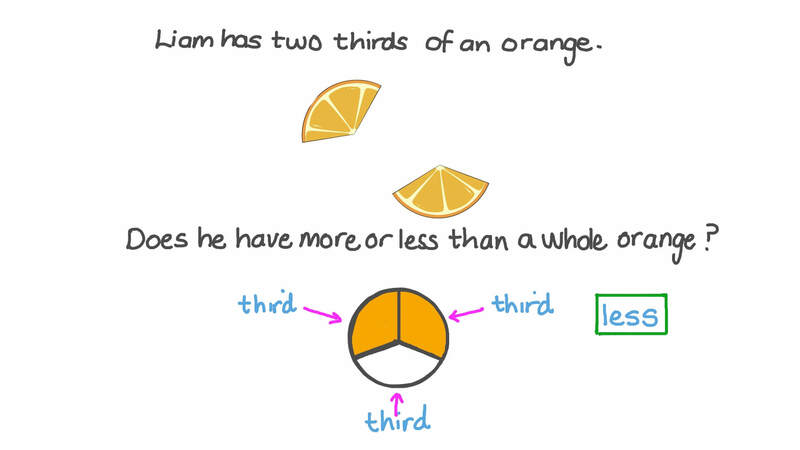 Amir has two thirds of an orange. Does he have more or less than a whole orange? This rectangle is divided into 3 pieces. 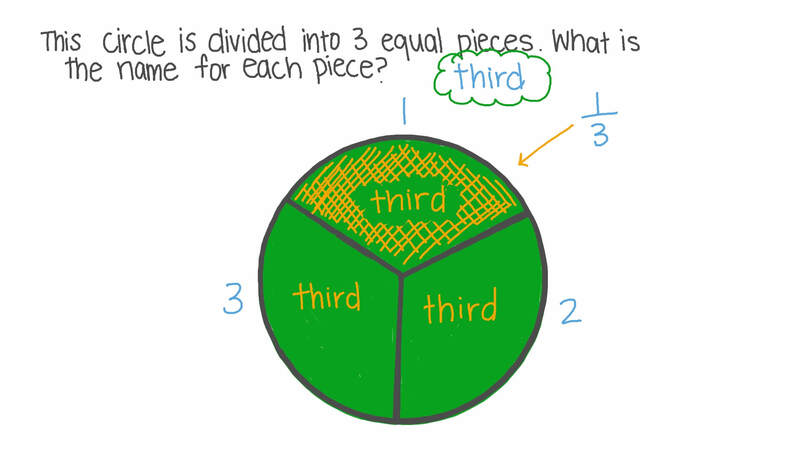 Is each piece a third? Which shape is NOT partitioned into thirds? Rania has one-third of a rectangle. How many more thirds does she need to make the whole rectangle? Which shape is partitioned into halves? Which shape is partitioned into thirds? Pick the group that this shape belongs to. How much of the shape is shaded? Pick the shape that is NOT divided into 3 equal parts. Pick the rectangle that matches Bassem’s description. This is one-third of a shape. Which shape could be the whole? Rania has three halves of cookie. Does she have more or less than a whole cookie?